News and practical information from our attorneys. How Much Effort is Required to Find the Person You are Suing? In what should have been an otherwise uneventful mortgage foreclosure, the Indiana Court of Appeals recently made clear to parties in lawsuits that they must take some reasonable efforts to notify all necessary parties of a lawsuit before they will be entitled to a judgment. In Hair v. Deutsche Bank National Trust Company, a bank filed a foreclosure action, and needed to name another lien holder in order to complete the foreclosure, clear title to the real estate, and obtain a judgment. There was no question that the bank’s mortgage lien was the first lien on the property, but Hair held a “junior” lien on the property. After the bank was unable to serve a summons on Hair, it attempted to serve him through “publication”, which is a technique allowed under Indiana law. However, a party may only rely upon service by publication after providing evidence that a diligent search was made and that the party cannot be found, has concealed his whereabouts, or has left the State. Because the Court found that the bank had not exercised that due diligence, and that had the bank performed even a bit of Internet research Hair could have easily been located, the Court granted Hair’s motion to set aside the judgment. The Court of Appeals then sent the case back to the trial court for further handling. Where this case will end up remains to be seen because the real estate has already been sold to a third party. However, by operation of law, Hair’s lien was not foreclosed and therefore is still attached to the real estate. At the same time, there is no dispute that Hair’s lien was inferior to the bank’s lien, and the property sold at the sheriff’s sale for less than what was owed to the bank. Therefore, even if Hair had been properly served with a summons, the bank would have foreclosed the lien and Hair would not have received any of the proceeds of the sale. The Court of Appeals did not address that issue, and sent the case back to the trial court for further proceedings. The practical lesson here is that it is not sufficient to simply serve a party by publication without being able to demonstrate that you have exercised reasonable efforts in your due diligence to locate that party so that the party can be personally served. The failure to do this can result in the setting aside of a foreclosure judgment and the unwinding of subsequent transactions based upon that judgment. Furthermore, with modern technologies, particularly the Internet and Internet based applications, what constitutes due diligence is likely more extensive now than what would have been required in the past. A bedrock principle of Indiana law is that the intent of the parties controls the contract. We are constantly advising our clients of this principle, and that is why it is so important that a contract clearly express the true intent of the parties, so that anyone who later reads that contract can understand without question what both parties meant when they agreed to the contract. The Indiana Court of Appeals has again reaffirmed this principle and repeated its long-standing policy of enforcing business contracts when the parties’ intent is clear. In the case, which involved lien priorities, subordination agreements, crop financing and bankruptcy issues, there were 3 different lenders who had loaned money to a farmer. At one point the lender who had the senior lien (“Lender #1), and therefore was entitled to be paid first from the proceeds of the farmer’s assets, entered into a partial subordination agreement with the lender which was “third in line” in terms of its lien position (“Lender #3). It was clear from the subordination agreement that the reason for Lender #1 and Lender #3 to enter into the agreement was to induce Lender #3 to loan additional money to the farmer to plant crops. Lender #3 then loaned additional money to the farmer, who ultimately filed bankruptcy. The question then was which Lender was entitled to proceeds from those crops. After analyzing case law concerning subordination agreements from other States, and parsing through a number of different arguments made by Lender #2 (who was trying to claim some portion of the crop proceeds even though it had not loaned any money towards those crops), the Indiana Court of Appeals noted that subordination agreements are merely contracts. They are contracts that often modify lien priorities. Because they are contracts, their interpretation is controlled by the intent of the parties as expressed by the clear language of the contract. The Court ultimately determined that the intent of the parties was clear, that Lender #3 was entitled to be paid its debt from the proceeds of the crops for which it had loaned the additional money, and Lender #2, which was not even a party to the subordination agreement, was no worse off than it would have been had there been no subordination agreement. The business lesson in all of this is, as always, to clearly document and say what you intend an agreement to be. Use clear language, simple words, examples and even illustrations where appropriate to express that intent. By devoting a little more time and effort to clearly constructing the agreement, you will greatly increase the chance that the parties’ intent will be enforced and you will receive what you anticipated when you entered into the contract. WARNING – BY SIGNING THIS PAPER YOU GIVE UP YOUR RIGHT TO NOTICE AND COURT TRIAL. 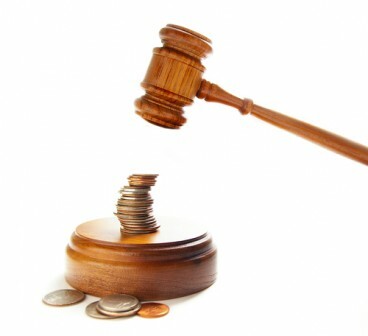 IF YOU DO NOT PAY ON TIME A COURT JUDGMENT MAY BE TAKEN AGAINST YOU WITHOUT YOUR PRIOR KNOWLEDGE AND THE POWERS OF A COURT CAN BE USED TO COLLECT FROM YOU REGARDLESS OF ANY CLAIMS YOU MAY HAVE AGAINST THE CREDITOR WHETHER FOR RETURNED GOODS, FAULTY GOODS, FAILURE ON HIS PART TO COMPLY WITH THE AGREEMENT, OR ANY OTHER CAUSE. The advantage of allowing and enforcing cognovit provisions is that it greatly expedites and streamlines the litigation process as the borrower does not have an opportunity to challenge the lender’s collection action. Consequently, several States do allow cognovit notes, including Ohio and Pennsylvania. In Jaehnen v. Booker, 806 N.E.2d 31 (Ind.App. 2004), the Indiana Court of Appeals reviewed all of the prior Indiana case law regarding cognovit notes and determined that “the evil to be avoided is the lack of due process.” Consequently, a note containing a cognovit clause is enforceable in Indiana so long as the lender does not rely upon such clause. Id., at 36. In such an instance, the lender can effectively sever the cognovit clause while relying on the rest of the enforceable negotiable instrument. Id., at 35. This is true regardless of whether the note was executed in Indiana or another State. Id., at 36. The location of execution of a cognovit note is relevant for determining whether Indiana will give a foreign judgment full faith and credit. If a cognovit note was executed in Indiana and a judgment is entered in Ohio based on the cognovit provision, Indiana will not recognize the foreign judgment. On the other hand, if the cognovit note was executed in Ohio and a judgment is entered in Ohio, then Indiana will give full faith and credit to the Ohio judgment. See, Cox v. First National Bank of Woodlawn, 426 N.E.2d 426, 430 (Ind.App. 1981). An attorney practicing law in a court of record in Indiana may hold a lien for the attorney’s fees on a judgment rendered in favor of a person employing the attorney to obtain the judgment. This statutory lien only applies in situations where a judgment has been rendered in favor of the client. Therefore, it will rarely be available to counsel that is representing a defendant in litigation. In order to assert such a lien, the attorney must file a notice of the lien including the amount owed with the trial court within sixty (60) days of the date the judgment has been rendered. See, Indiana Code § 33-43-4-2. In addition to the attorneys’ lien provided by statute, Indiana courts also recognize that attorneys’ have an equitable right to retain possession of a client’s documents, money, or other property which comes into the hands of the attorney professionally until the attorney’s fees are paid. This lien exists as long as the attorney retains possession of the client’s property. The situation in which this equitable lien will be most effective is when the attorney receives funds for his client, such as proceeds from a settlement. When the attorney only has his client’s file, the effectiveness of such a lien depends on the value to the client of the retained file. What Triggers the Beginning of a Non-Compete? In a recent case decided by the Indiana Court of Appeals, the judges unanimously agreed that a 10 day break in employment with a prior employer started the running of the non-compete agreement between that employer and its employee, despite the fact that same employee was rehired by that same employer 10 days later. At the time of the employee’s original hire, he was asked to sign a non-compete agreement, which he did. He was subsequently fired. Ten days later his employer offered to revoke the termination and allow him to return to his prior position. The employee returned to his position but the employer did not ask the employee to sign a new non-compete agreement. Approximately 2 ½ years later, the employee left that employment and immediately began working for his former’s employer’s competitor. The employer filed a lawsuit seeking to enforce the non-compete agreement that the employee signed at the time of his original hire. The employer argued that because the termination was “revoked”, and the employee rehired, the non-compete agreement signed when the employee was originally hired should still remain in full force and effect. The Indiana Court of Appeals rejected the employer’s argument and ruled in favor of the employee. The Court noted certain principles related to non-compete provisions, which we have previously discussed here. Included among these are the fact that covenants not to compete are in restraint of trade and are not favored by the law; they are strictly construed against employers and are enforced only if reasonable; and those covenants must be reasonable with respect to legitimate protectable interest of the employer. Mindful that non-compete agreements are disfavored by law and strictly construed against the employer, we conclude there is no issue of material fact [Employee] was indeed separated from [Employer] on October 16, 2009, which marked the starting point of the two year restrictive period of the non-compete agreement. Absent the execution of a new non-compete agreement on October 26, 2009 or a written extension of the prior non-compete agreement, the employee’s restrictive period ended on or about October 16, 2011. Therefore, at the time of entering into an employment relationship with [Competitor] in May of 2012, [Employee] was no longer bound by the provisions of the non-compete agreement. The obvious lesson here for employers is that a re-hired employee needs to sign a new non-compete agreement, or at least some sort of document acknowledging that the previous non-compete agreement has been extended to fill any gap in employment. 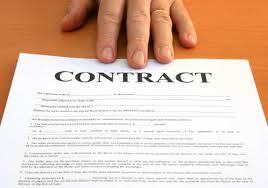 Indiana courts will enforce contracts according to their plain, ordinary, and clear terms. Therefore, it is a worthwhile exercise to put together written contracts, signed by all necessary parties, to accurately document what the parties’ intent is with respect to their agreements, including non-compete and other types of agreements.